Caption slip reads: "Mack. Date: 01-21. Reporter: Adler. Assignment: Hospital engineer. 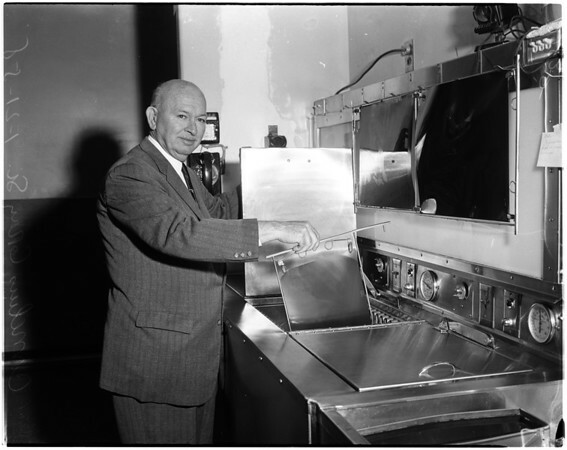 15-16: Cornelius Gray Senior, retiring chief engineer for California Hospital, with special X-ray film drier he invented for the hospital. 11-12: Admitting Relief Supervisor Luella Larson waves goodbye to Chief Engineer Cornelius Gray Senior at door of California Hospital".